On 30 August 2017 SWOV hosted an international group of road safety consultants and experts for a workshop on Road Safety Management Capacity Review (RSMCR). 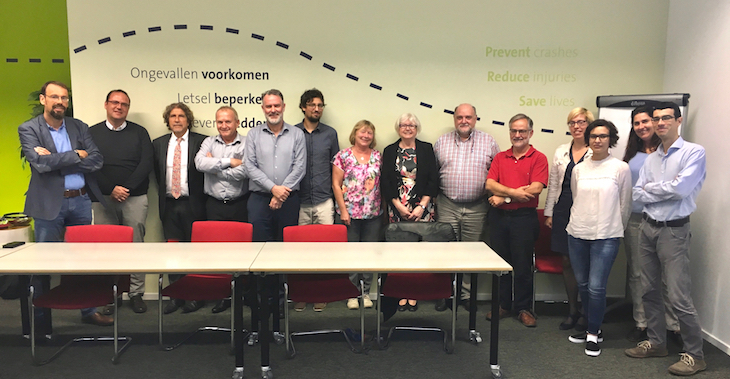 The workshop took place as part of Work Package 5 (WP5) of the SaferAfrica project and was presented by Jean Breen, Martin Small and Govert Schermers. The broad objective of the SaferAfrica-project is to create conditions and opportunities to implement actions and programmes for traffic safety and traffic management in Africa by setting up a Dialogue Platform between Africa and Europe. SWOV is WP leader for WP5 which intends conducting RSMCR in 5 countries (representing the 5 main geographic regions of the continent) in the coming year.